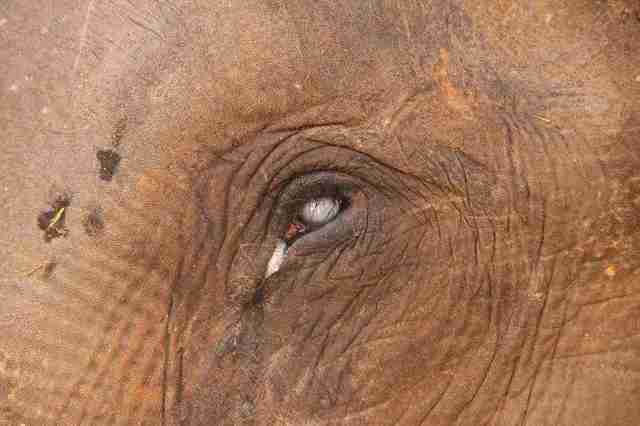 After spending nearly her entire life being forced to perform in front of crowds, a blind former circus elephant named Suzy is on her way to freedom. "She can finally be an elephant again," Suvidha Bhatnagar, from rescue group Wildlife SOS India, told The Dodo by phone from Delhi. "We are very excited." 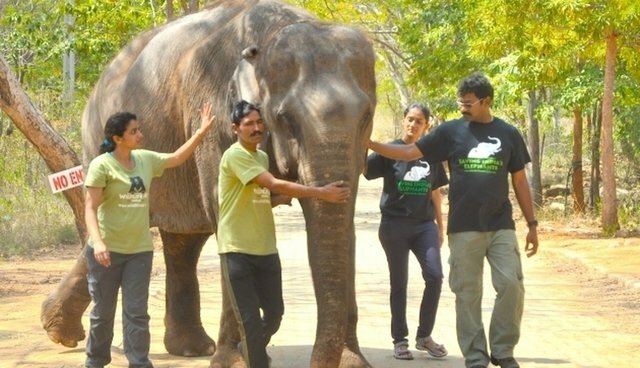 Best of all, Suzy is just the first of India's remaining 67 circus elephants who are being allowed to retire following the 2013 nationwide ban on pachyderms in live animal shows. Wildlife SOS India, with the help of the government, has been working to ensure that all the former circus elephants find new homes on sanctuaries where they can be among elephants like themselves. Prior to her rescue, Suzy was subjected to an unimaginable existence of neglect and exploitation at the hands of her circus handlers. Despite being blind in both eyes, she was offered no reprieve from continual performances, after which she was kept chained up with little opportunity to exercise. In addition to obvious marks of physical suffering, rescuers say she also showed signs of mental distress from her years with the circus. "Suzy is such a gentle elephant that it is hard to believe somebody could be cruel and abusive to her," Wildlife SOS veterinarian Vibha Raghuram said in a release. "She has lots of abscesses, injuries and chronic issues that need veterinary intervention. Her feet are also in very bad shape and she needs urgent foot care. I look forward to working with her and making her free from pain and fear at our rescue centre." Now in better hands, Suzy is being transported by truck to Wildlife SOS's Elephant Care and Conservation Center where she'll get care among others like herself. "She'll be chain free," says Bhatnagar. "She'll get proper veterinary treatment. We have a team of eye experts ready. There are also eight other elephants at the center now, so she'll have new friends too." Geeta Seshamani, co-founder of Wildlife SOS, says that while Suzy and those like her in India are on their way to better lives, there are countless others like them elsewhere still leading lives of misery. 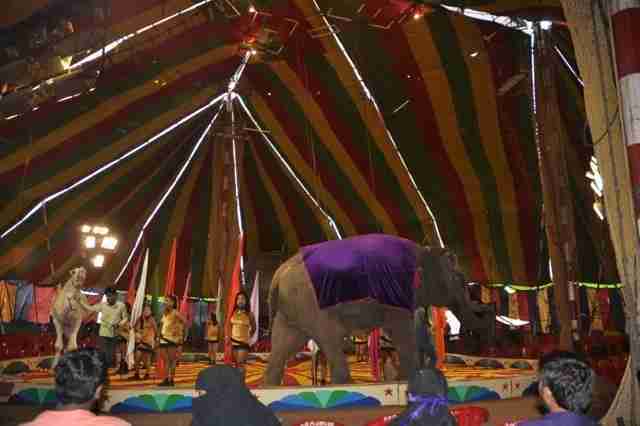 "Suzy's plight is typical of many captive elephants in the streets and animals being used for performances," he said in the release. "We hope the case of Suzy will highlight this issue and will create awareness amongst the public who will not pay for elephant rides and to watch elephants perform in circuses or for touristic activities."